It’s been interesting watching the cafe scene evolve over the last ten years we’ve lived in Hobart. It must be a tough gig. Plenty of competition, everyone has access to the finest produce, and a limited population base from which to eke out a living. 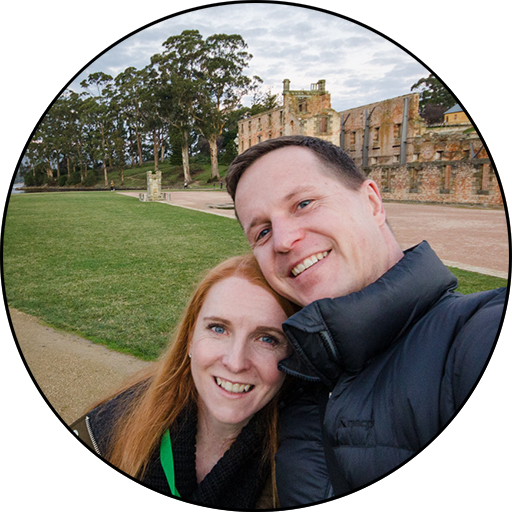 So how do you maximise the chances of remaining in business long enough to make your mark on Hobart’s dining scene? The obvious answer is simply to be the best in the market. A noble, if elusive goal. You could be the cheapest and bank on volume to keep things ticking over. Or perhaps you could find a niche that’s yet to be filled, relying on a captive market. All equally valid approaches, yet of late I’ve noticed a trend towards a new strategy, that of diversification. Aproneers have been trading strongly over the last few years, starting out with a focus on fresh fruit, veg and meats, but recently taking a right hand turn and totally transforming the business to focus on its cafe/eatery aspect (while still retaining a lesser focus on the fruit and veg). 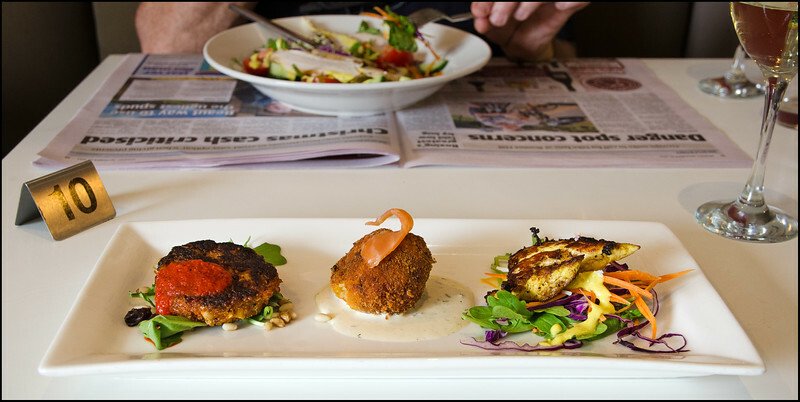 Elizabeth St. Food + Wine has also taken a similar path to that blazed by Aproneers, offering a similar food and wine experience, yet cleverly situating themselves right next door to what is arguably Hobart’s best fish monger, Mako. Perhaps you’d like a coffee and a cake while getting your picture framing needs sorted out? If so, then Melt on Warwick St is what you’re looking for. Abundance on the Quay is the most recent cafe in Hobart to find themselves exploring diversification, with a very neat little collection of homewares and clothing. 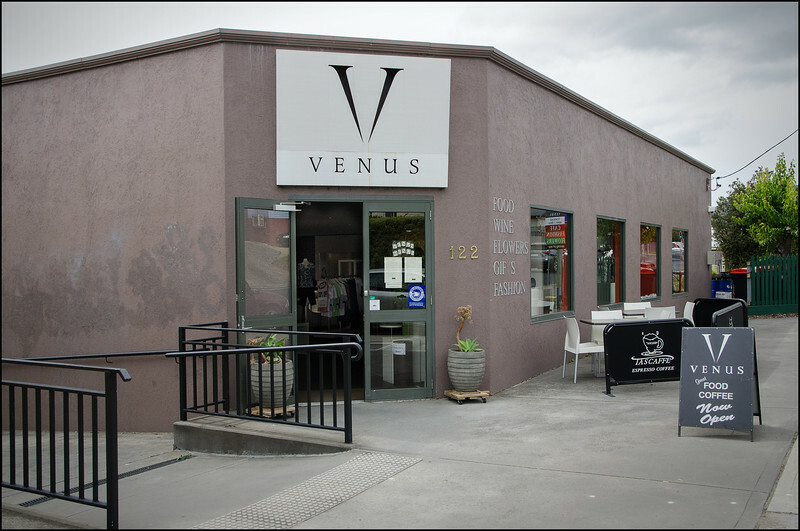 It would be easy to suggest this is a fad, but one venue in particular adopted this approach many years ago, with great success; Venus Lifestyle. Are they the template on which the others have based their various approaches? It’s hard to say, but they have certainly demonstrated great longevity and resilience in an ever-changing market! 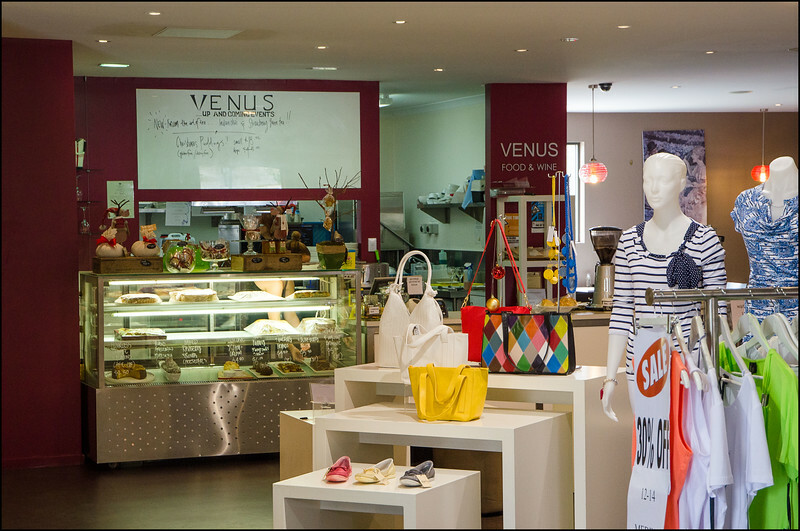 Located on Cambridge Road near the Rosny roundabout, Venus have positioned themselves quite nicely between the fringes of Rosny’s commercial hub, and the suburbs of the eastern shore. 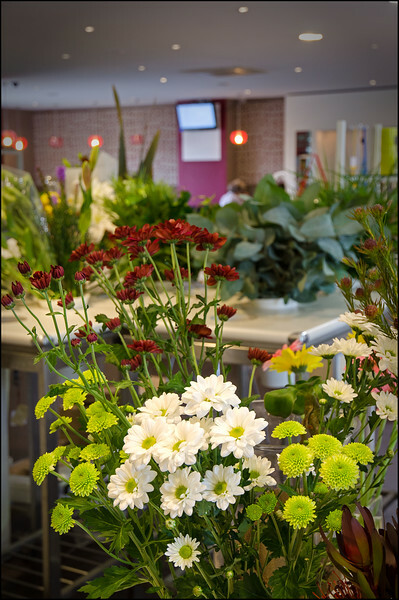 Even before you step through the doors into the cool interior, it’s your nose that will pick up on the telltale signs of a florist within, inhaling the soft aromas with pleasure. 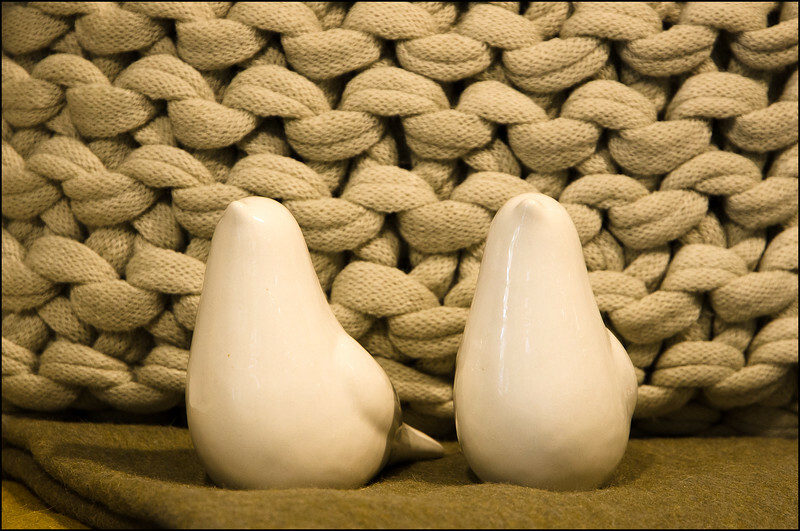 The fashion and homewares can’t be missed. All sorts of fantastic knick knacks, furnishings and other items of interest line the walls, surrounding the numerous racks of ladies fashions, with many a bargain to be found! It wasn’t leather I was interested in on this particular visit (perhaps next time), it was food! The brunch menu operates from 8:00-11:30am, while the lunch menu extends this through to 3:00pm, Monday to Saturday. It’s at this point that a little disclaimer needs to be made. 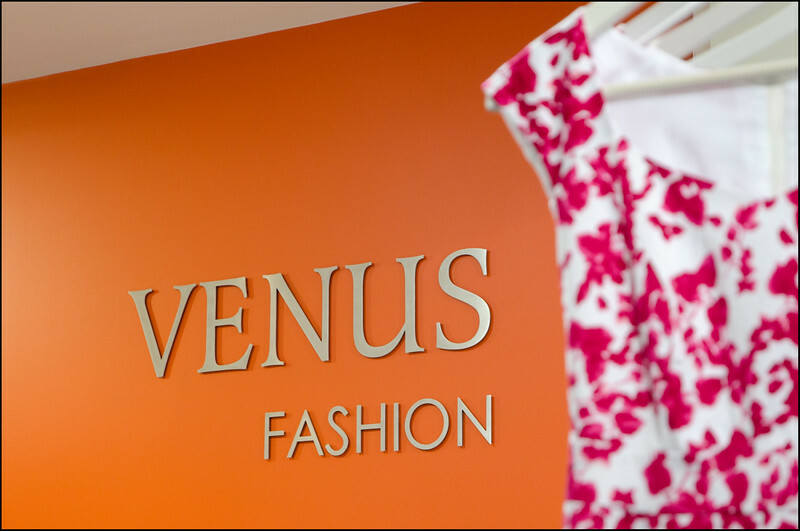 I’ve known the co-owner of Venus, Murray, for many years now through my professional life. I hadn’t told him I was coming, but was pleasantly surprised to find him seated at a table, enjoying a quick bite to eat over the daily paper. In his typically friendly manner I was invited to take a seat and chew the fat over a glass of wine and good meal. With changes in our respective roles over the last few years I hadn’t spent anywhere near as much time with Murray as I had in my early years at Transend, so it was with great pleasure that I was able to catch up on his latest ventures (always with a finger in many pies! ), plans for the Christmas break, and life in the service industry. While food always takes a back seat to good company, it can’t go without comment. 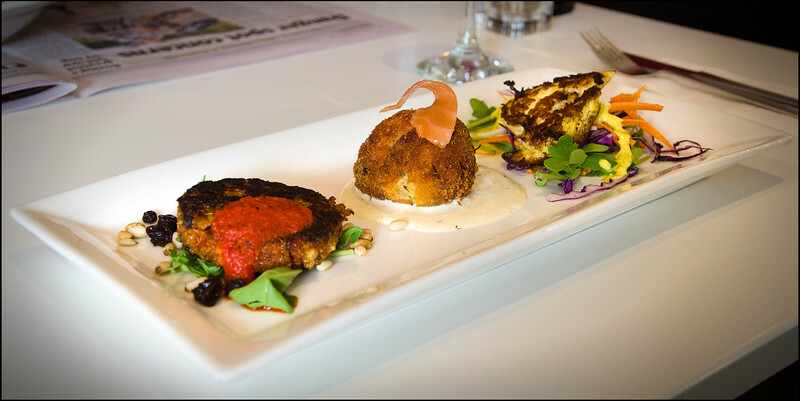 The pick of the dishes was by far the hot smoked salmon risotto ball. Risotto is not a favourite of mine normally, but this had been cooked with such great touch (I believe the chef is ex-Ashmore on Bridge Street) that I would come back time and again for this dish in particular. On the other hand, the ginger and turmeric chicken was my least favourite of the three. Tasty enough, but slightly dry and lacking for sauce. The tomato and cashew quinoa fritter though was an interesting little number. Again, not in my usual repertoire, but in this case I was pleasantly surprised by how light and flavoursome it was. Even a carnivore like myself could appreciate a dish like this! 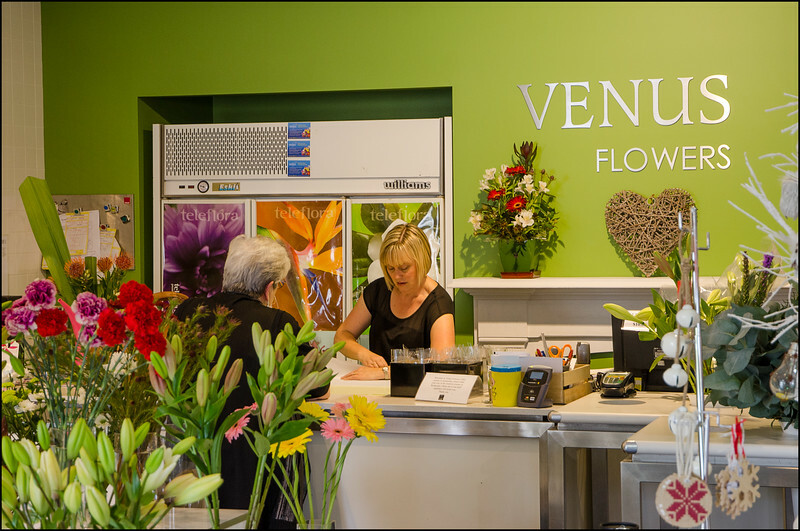 Diversification is the key to not only Murray and Maree’s professional lives, but also within the microcosm that is Venus Lifestyle. 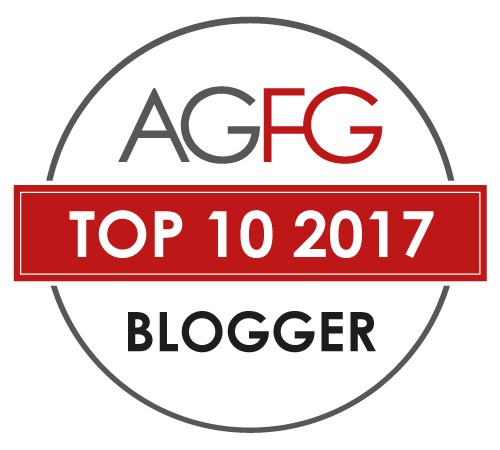 They’ve ridden out egg scares and media storms, they’ve weathered the GFC and they’ve established themselves as one of the eastern shore’s little gems that consistently delivers not only quality food, but a totally unique experience. 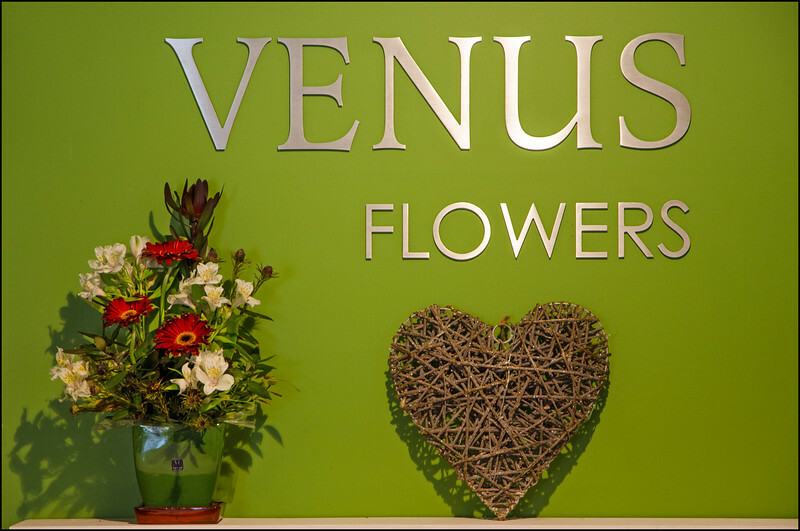 Just imagine how many thousands of brownie points have been secured by husbands across the city through the simple purchase of one of Venus’ fantastic bouquets…? Give them a try and let me know what you think!